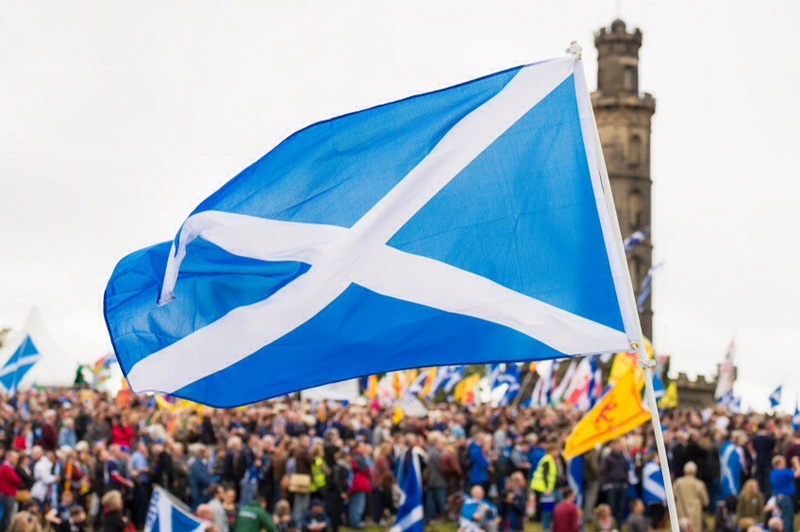 The Scots finally decide tomorrow whether they want independence following intense campaigning on both sides of the argument energized by recent poll results suggesting that our friends north of the currently symbolic border might indeed do what was thought impossible: exit the UK. At the time of writing the outcome of the referendum is on a knife-edge. If the Scottish electorate votes yes, it will be despite of increasingly forthright appeals from many business leaders urging them to do the opposite. With economic opinion apparently weighted against independence, the lure for the Scots of going it alone seems to tap into a deeper calling than simply the notion that they would all be better off financially. If the Conservative Party wins the next general election and sets up the referendum it has promised in 2017, the business grandees will return in force to put forward another economic case, this time on UK membership of the European Union. Already Lloyd’s has come out publicly in favour of staying in Europe and Sean McGovern, the market’s spokesperson on the subject, is encouraging more insurers to enter this side of the debate. Like the Scottish question, however, a compelling economic reason to stay in the EU may not be enough to persuade voters. The emotional tug in the other direction, currently exploited very effectively by the anti-Europe party UKIP, could be too strong to resist. As more parts of the world submit to ‘tribalism’, the way that the business community, insurers included, view and respond to international events requires a rethink. In recent years the citizens of Iraq, Egypt and Ukraine all voted in governments in fair elections that failed to bridge religious and ethnic divisions, deciding instead to promote solely the interests of the faction that put them into power with disastrous consequences for the populations and their economies. Whereas previously the extension of political freedom led to new markets for goods and services, as was the case in Eastern Europe after the collapse of the Soviet Union, the current trend has been for liberalization to be followed by periods of huge instability eroding rather than creating wealth. Fortunately in UK, notwithstanding the current referendum excitement, we are lucky to live in relative harmony both at home and with our neighbours. Nevertheless, businesses do need to factor in Scottish obduracy, English parochialism and these sorts of feelings into their commercial strategies. Attitudes and aspirations are shaping modern society and the geo-political landscape as much as, if not more than, straight economic logic.